The only thing more unnerving about cutting into a PEX waterline… is drilling a hole in your roof! ;) This handy tool makes cutting any PEX line (from 1/4″ diameter up to 1″) a snap. 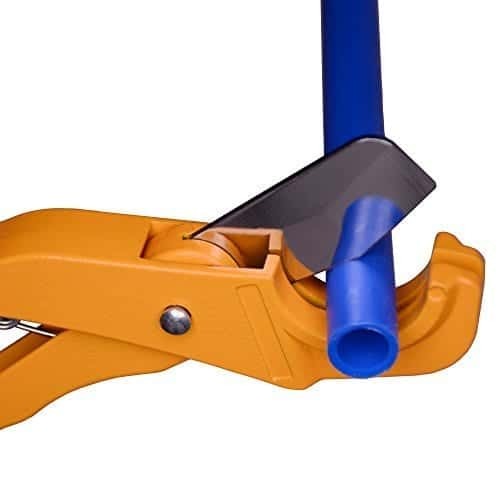 This is Flui-PRO’s popular pex cutter tool which cuts pex tubing up to 1-inch in diameter. 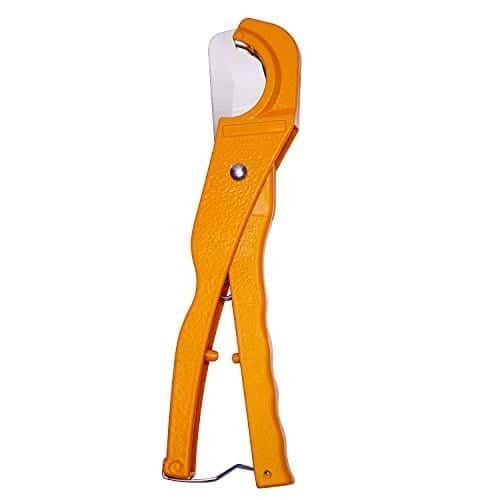 It features an innovated blade design that gives clean cuts every time, as well as spring-loaded opening mechanism and a simple to use handle lock to keep the cutters closed when not in use. 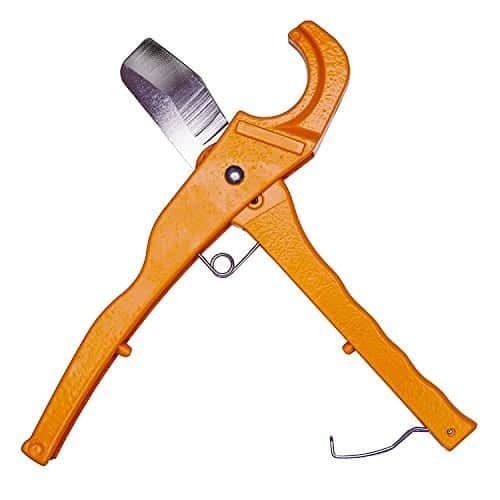 These pex pipe cutters also have a comfortable contoured handle grip. 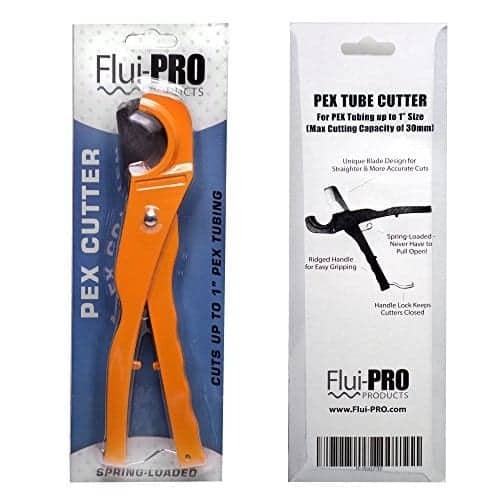 CUTS ANY SIZE UP TO 1-INCH: These pex cutters will cut any size pex tubing up to 1″ in diameter. This includes the popular sizes of 1/8-inch, 1/4-inch, 3/8-inch, 1/2-inch, 5/8-inch, 3/4-inch, 7/8-inch and 1-inch. CLEAN CUTS (No Burrs): The unique blade design gives a nice clean cut (no rough edges) with minimal effort. SPRING LOADED OPENING: Opens automatically once unlocked for ease of use. EASY LOCKING HANDLE: Comes with a handle lock to keep the pex cutter closed when you aren’t using it. 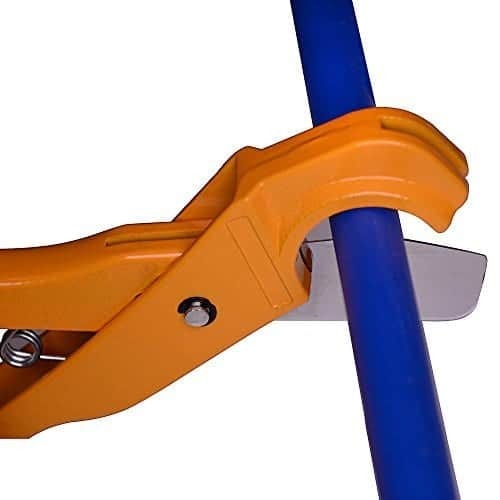 COMFORTABLE GRIP: Strong but contoured grip makes these comfortable to use when cutting pex tubing.